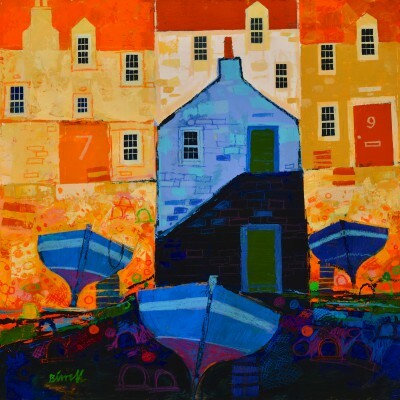 Right now we are waiting for new George BIRRELL Art to arrive at the gallery. In the meantime, here is a selection of the artist's archived art work which has featured at Red Rag Art Gallery. 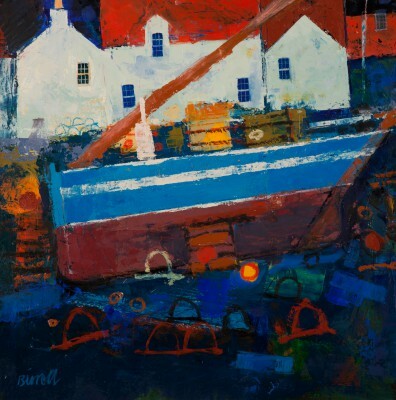 If you wish to register to receive updates and alerts when new art work from George BIRRELL arrives select this link. 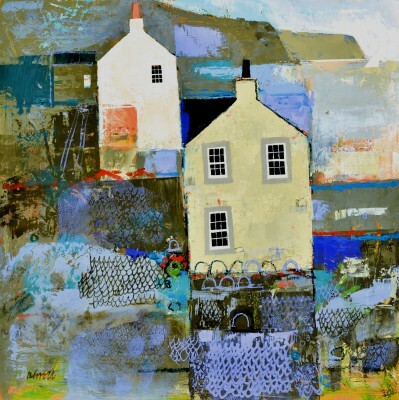 George Birrell was born in 1950. 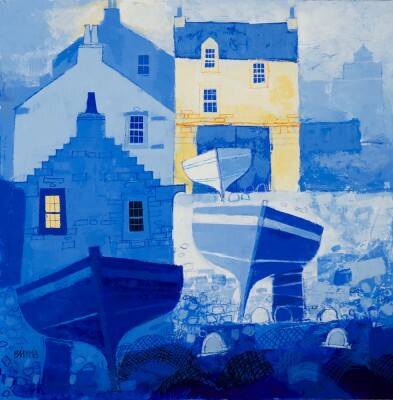 He trained at the Glasgow School of Art (1967 - 1971) and was involved with the Hospitalfield Summer School in 1970. 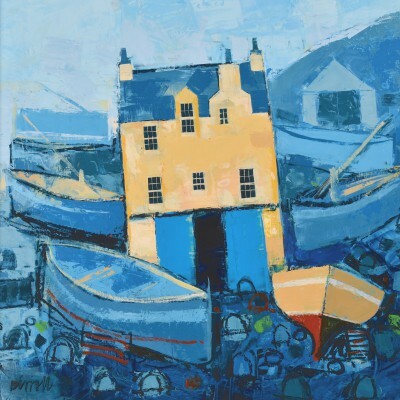 He had an impressive line up of high pedigree tutors including Leon Morrocco, Goudie, Robertson, Donaldson, Fergusson and William Crosbie.After leaving art school George taught art and design in Scottish schools for the next decade, starting painting full time in 1990's. Birrell lectured in art, design and photography from 1985 - 1998. 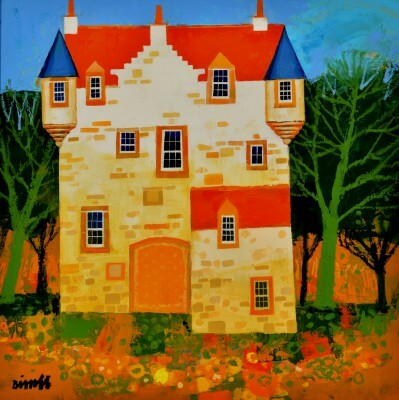 Since then George has taken part in regular joint and group art exhibitions at many Scottish galleries particularly: Edinburgh Art Galleries, Glasgow Art Galleries, and Fife Art Galleries . He has also exhibited his art abroad. 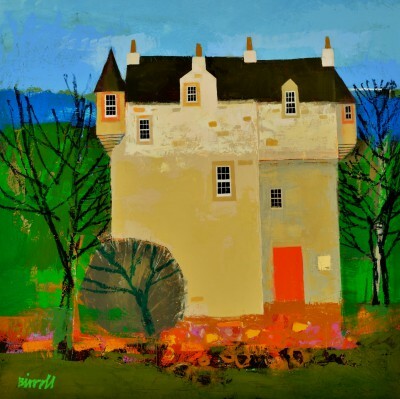 George Birrell produces Architectural paintings and Landscape paintings of his native Scotland. The East Coast Scottish towns and fishing villages of Fife hold a special fascination. One is immediately struck by the bold use of strong colour and stylised compositions. 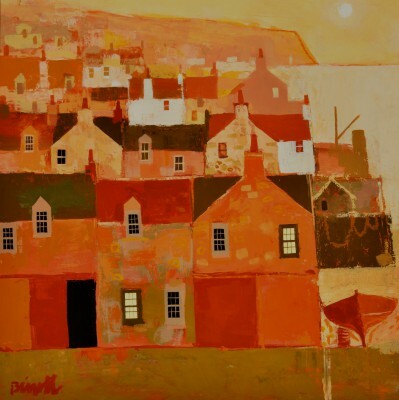 He describes this as an emotional response to memories and atmosphere of these special places on the Scottish east coast . 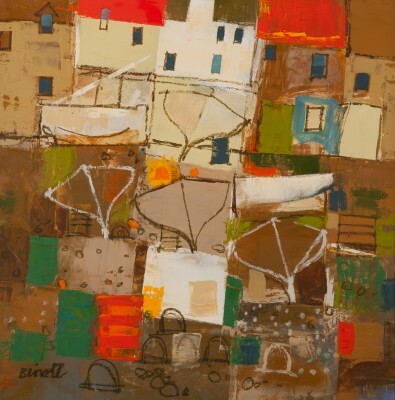 Vigorous handling of colour, a bold palette and strong design are all hallmarks of his painting. 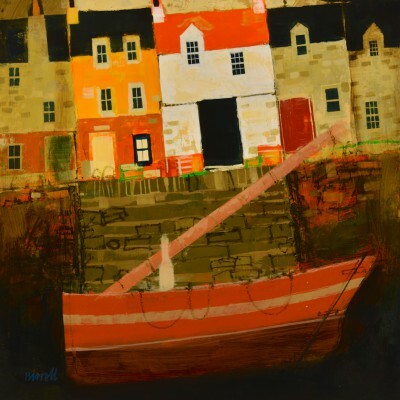 An example of George Birrell's art work is the oil painting 'Church Tower, Fife'. 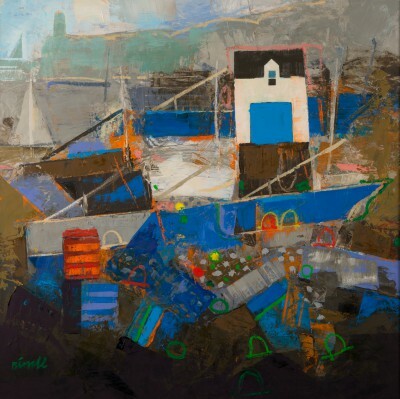 This is a typical of Birrell painting, with a clear and well constructed composition clearly illustrating George's bold and effective use of colour to create an emotional impact. 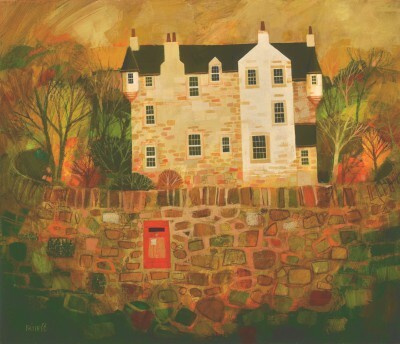 The contrasting colours, which create areas of light and shade, draw us into the small Scottish village. There is a great sense of peace and serenity in the work. A moment of stillness and clarity before the evening light fades.